Knowledge Prevails Ministry will present a free performance of a modernized version of the biblical story of Ruth. 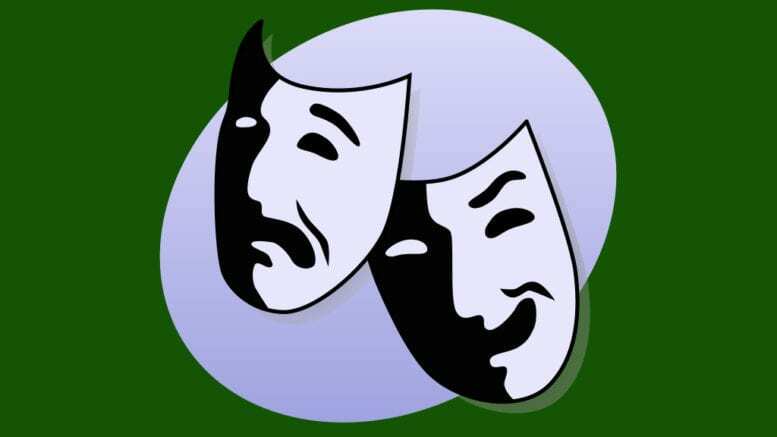 The play was written by Angelica Phillipps, a graduate of North Cobb High School. 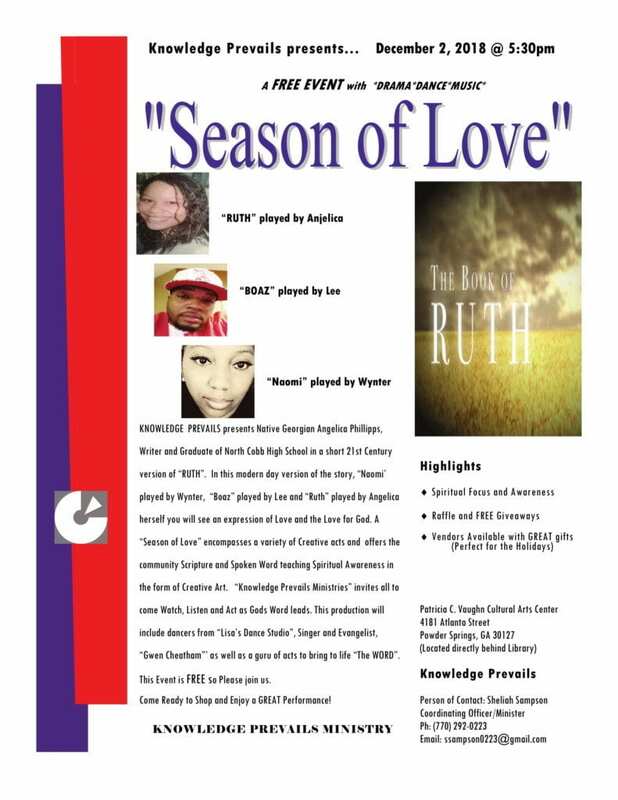 The play will be presented on December 2, 2018 at 5:30 p.m. at the Patricia C. Vaughn Cultural Arts Center, 4181 Atlanta St., Powder Springs 30127 (directly behind the library). Knowledge Prevails, Ministry has created a means of introducing scripture and the Word of God through creative arts and entertainment. Presenting biblical stories and revealing God Word through acting, song, spoken word, dance, and comedy. As the Word goes forward, It Speaks to the audience clarifying and teaching. Knowledge Prevails, Ministry invites all to come and see. Currently the events are FREE. Be the first to comment on "Knowledge Prevails Ministry presents a modern rendition of the biblical story of Ruth"